Part of our focus on university prescriptions meant ensuring that prescribed English and Classics setworks that were already available on Paperight were reformatted. I drew up a list and progress chart for the reformatting of these texts, and Philippa began the process of scrubbing the HTML for those titles. In the meantime, I continued to hack away at the CSS for the automated HTML-to-PDF conversion, to fix compatibility issues that had arisen when we switched over from Prince XML to DocRaptor. And, I continued testing the PDF-to-Paperight-PDF document conversion software on dev. Oscar continued to work on the university prescriptions list, completing the data and making sure that it was updated for 2014. 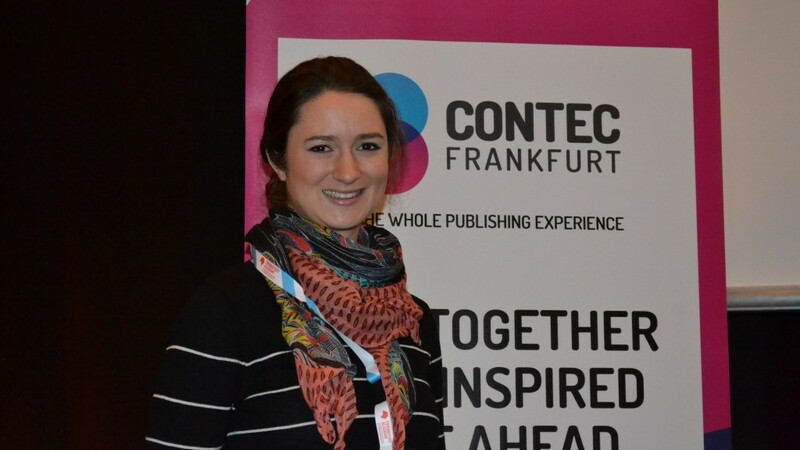 On our other content-generation fronts: Andi began an internship with us, working on the grade 11 and 12 question bank. Our conversations with Susanne Collins’ agent were going well, and our next step was to secure funding for the project. I tried to set up a meeting with OUP to discuss reading tree books and expanding their catalogue, met with Hyreath from Juta, and sent her our contract and additional information. We also had further contact with Elsevier, WHO and Jacana about contracts and content, and set up a CoreSource channel to deal with RHS doc transfers. Near the end of December, I did a comparison of analytics from 2012 to 2013. This included an analysis of traffic to paperight.com, taking into account both the total visits (including recurring users) and unique visits. As the current version of the Paperight site only went live in May 2012 (marked in the data by a *), all data for August 2011–April 2012 is for the earlier version of the site. Fig 1.1 Overview of total visits from 2011–2013. In 2012, the peaks for visits occurred in February and March, and again in October and November. In 2013, the peaks for visits occurred in May and October, with two smaller peaks also occurring in February and August. Fig 1.2 Figures for total visits to www.paperight.com from 2011–2013. 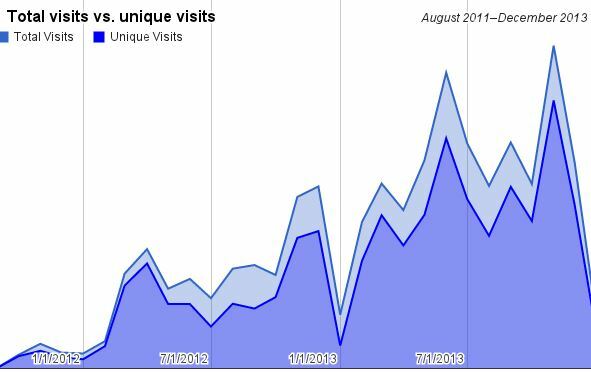 Fig 1.3 Overview of unique visits to www.paperight.com from 2011–2013. In analysing the license sales for the period from May 2012 to December 2013, it was necessary to show the number of copies sold per completed transaction each month. Transactions marked in red are the result of inhouse testing, those in green are actual sales. 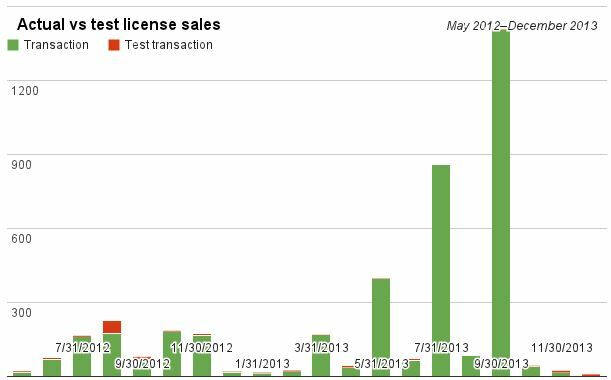 Fig 2.1 Overview of actual vs. test license sales from 2011–2013. There are peaks in May, July (Pelikan Park and Silverstream) and September (Kwamatua High and Tambalethu) of 2013, both as a result of sponsorship deals. While in 2012 we had fairly high organic sales in August and October, we did not see these happening in 2013. The majority of these sales came from Silulo branches. Graph also shows that actual sales in June and July 2012 were roughly the same. Spike was as a result of inhouse testing. 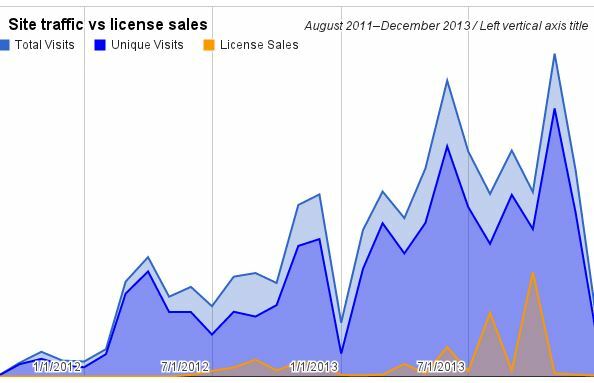 Fig 2.2 Overview of site traffic vs. license sales from 2011–2013. The most interesting thing to note here is that high traffic volumes do not result in high sales. In fact, both years, almost every peak in sales is in a month where traffic is lower. Fig 2.3 Overview of license sales on www.paperight.com from 2012–2013. 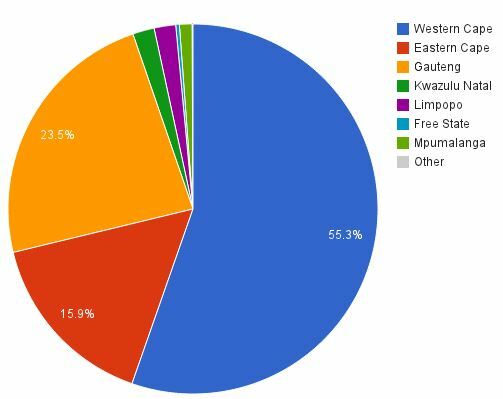 For interest sake: here is a breakdown of sales per province. Fig 2.4 Overview of license sales per province from 2012–2013.